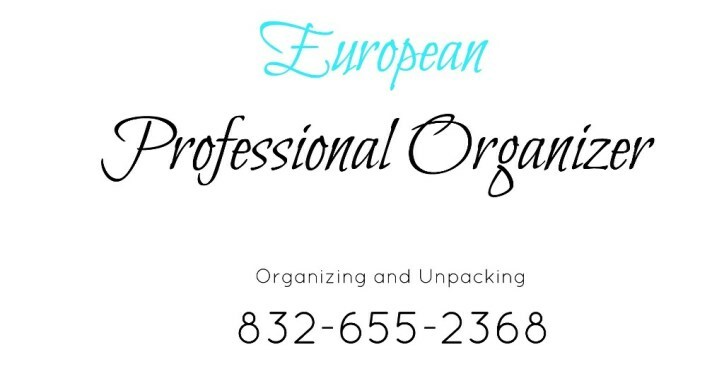 Professional Organizer Houston has great organizing tips to help you get organized! 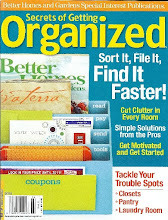 If you like to keep your magazines for reference, there's no reason for them to cause you a storage headache. 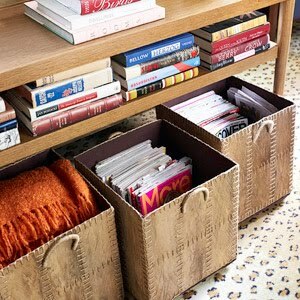 Tuck sturdy bins underneath a console table behind your living room or family room sofa. Most tables will accommodate two or even three large bins. Divide and conquer! Use a large divided basket or cutlery tray near the front door to gather keys, as well as cell phones, sunglasses, or work IDs. 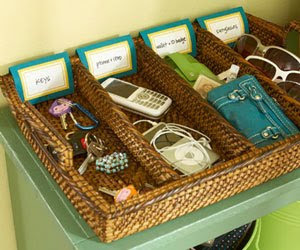 Label each compartment by type of item or give each family member his or her own space to drop things. Batteries die at the most inconvenient times. Keep a stock of all sizes on hand and store them in an easy-to-organize plastic bin. Lidded boxes made specifically for this use are available but you can also adapt divided plastic boxes made for tool, craft, and sewing supplies. 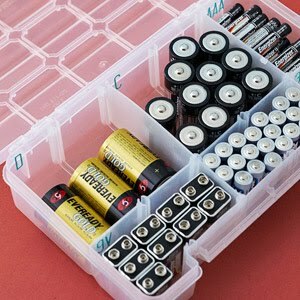 Use stick-on letters from the scrapbooking aisle of the craft store to label the battery size on each compartment of the box. 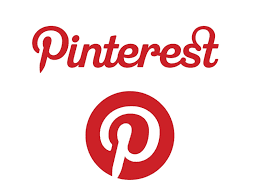 those are some AWESOME ideas! I especially love the bin and the tray idea! This is a wonderful idea! I wish I knew where you got the divided tray!